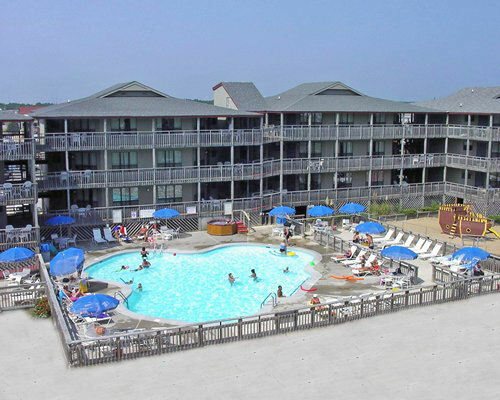 Outer Banks Beach Club I & II in Kill Devil Hills, North Carolina ~ Bid on a 7 Night Stay in a 1, 2 or 3 Bedroom Suite! 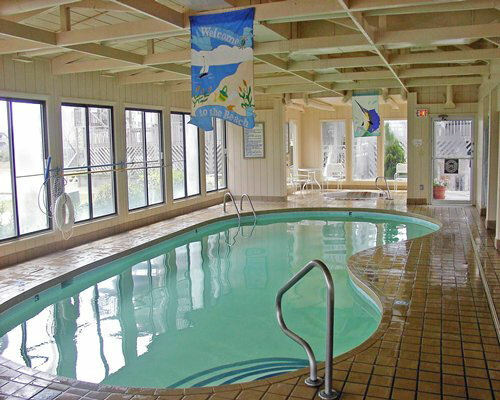 Enjoy a 7 Night Stay at the Outer Banks Beach Club I or II in Kill Devil Hills, NC! North Carolina's Outer Banks is a vacationer's dream come true. At the Outer Banks Beach Club, you'll feel like the beach is your own private paradise. Where the Wright brothers first took flight, Kill Devil Hills is rich in history and has several notable points of interest for those curious about the United States' beginning. This unique vacation retreat is full of reminders of time gone by. Visit the resort, and you'll see why it's one of the Outer Banks' most popular locations. Enjoy swimming, surfing, fishing, and other water sports at the Outer Banks Beach Club, located in Kill Devil Hills, North Carolina. Bordered by the Atlantic Ocean, the resort offers two outdoor pools, an indoor pool, and indoor and outdoor spas. Arrangements can be made for guests to windsurf, play golf (seasonal) or tennis, or hang glide. Sightseers will enjoy Roanoke Island, the Elizabeth II sailing ship, the Wright Brothers National Memorial, Pea Island Wildlife Refuge, and Jockey's Ridge. and some are across the street from the beach near the Club House and indoor pool area. All are air-conditioned and have a tv with HBO. Coin-operated laundry facilities are available on-site. 1 BR units OCC: Max 4/Pri 2 have 1 bath, 1 queen bed and 1 queen sleep sofa. 2BR units OCC:Max 6/Pri 4 have 2 baths, 1 queen bed, 2 twin beds and 1 queen sleeper sofa. 3BR units OCC: Max 8/Pri 6 have 2 queen beds, 2 twin beds and 1 queen sleep sofa. **No pets are allowed. ** A US$100 damage deposit is required at check-in (payable by check or credit card only). Sand dunes are very high and can cause obstruction of view from first floor units on oceanfront. No public transportation available, so a car is recommended. Each guest is only allowed 2 parking passes per unit. No boats or trailers are allowed. 1 Bedroom Suite: This unit sleeps up to 4 people and has a full kitchen. The Following Check-in Dates are Available in a 1 Bedroom Suite! UPGRADE TO A 2 BEDROOM SUITE FOR ONLY $100 FOR THE WEEK! 2 Bedroom Suite: This unit sleeps up to 6 people and has a full kitchen. The Following Check-in Dates are Available in a 2 Bedroom Suite! OR UPGRADE TO A 3 BEDROOM SUITE FOR ONLY $175 FOR THE WEEK! 3 Bedroom Suite: This unit sleeps up to 8 people and has a full kitchen.